My two year old has SO MANY BOOKS. I can't even blame her overly generous grandparents for this (they're responsible for the cupboard full of leggings and the box of tiny, random toys) because most of the book buying is done by me. I find a clever, beautiful kids' book hard to resist. I bought and bought and bought until she ran out of shelf space and then I filled and filled and filled my "MM" wishlist with 100 more. So, MM has no shortage of books to choose from. But there are some she returns to more than others. A deceptively simple book which teaches kids about seasonal changes. One tree grows leaves, blossom and apples as the child taps and strokes the pages; the leaves fall when the child blows them away; snow comes down softly; and the cycle begins again. It's gorgeous to look at and lots of fun for MM. One of my personal favourites. MM loves this one because there are holes in the pages. Lots of holes. Which she can stick her fingertips into. She can also shout "Peck peck peck!" 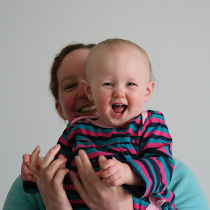 a lot and point out all the objects she recognises in the house while an infant woodpecker flies around, tapping holes in everything. 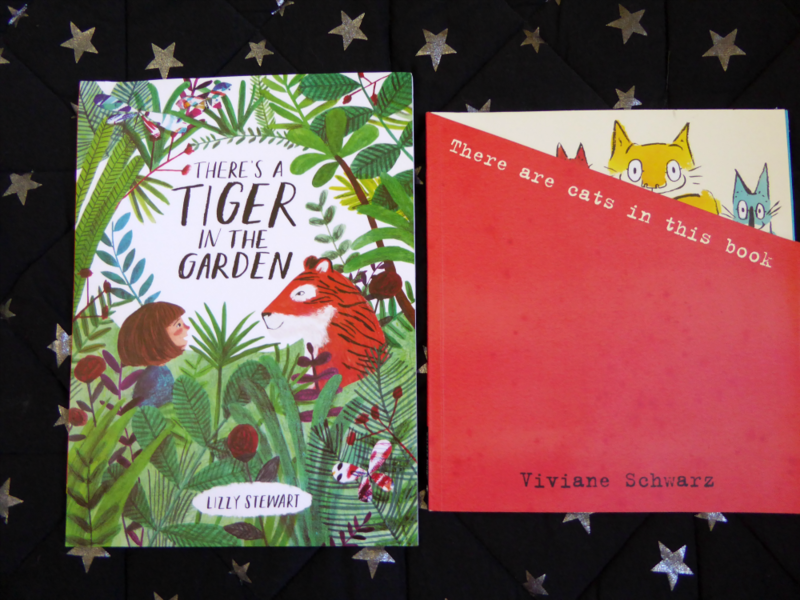 A lovely story about a little girl who doesn't believe that there's really a tiger (or a polar bear or dragonflies as big as her head) in her granny's garden. Until the garden starts to prove her wrong. This is one of our go-to bedtime stories; all three of us must know it off by heart. It's (un? )surprisingly hard to find kids' books with female lead characters, which makes this a must buy for any little girls in your life. MM howls with glee through this one. There are three cats in this book, all encouraging her to stroke them and play with them. It's completely interactive and hugely silly. And it's full of cats. A big hit in our house. Oh, how I love Pom Pom. Even if the only female character is Pom Pom's mum. 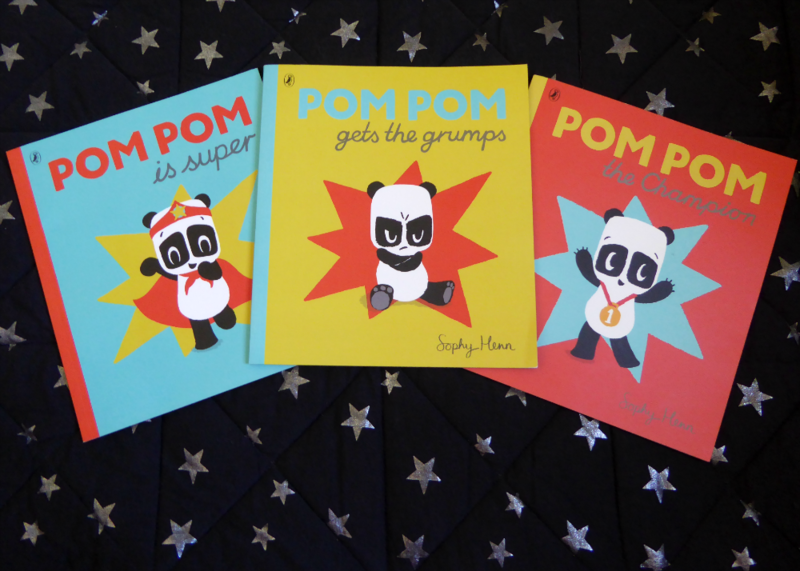 Pom Pom is the cutest little panda, who has massive strops or feels hugely inadequate, but whose friends always manage to cheer him up. These are simple little stories about big emotions. And, oh my, the retro artwork is GORGEOUS - sure to be a hit with any vintage-loving parents out there. We bought this for MM last Valentine's Day. It's a rather lovely book (with a heart-shaped hole all the way through it - again, great for shoving hands and fingers in) in which a little girl describes how her heart feels when she's experiencing different emotions. It ends by asking how the reader's heart is feeling that day; although MM does usually reply with "Nice", it has started a few conversations about things which have concerned or upset her and helped her to get them off her mind before going to sleep. We (subtly) add this into the bedtime story pile if we think she's had a particularly eventful day. Probably the girliest book MM owns - and she loves it. Belle (the little girl) is explaining to Boo (the rabbit) what birthdays are, whilst making a card and cakes and arranging a picnic for somebody (guess who?). 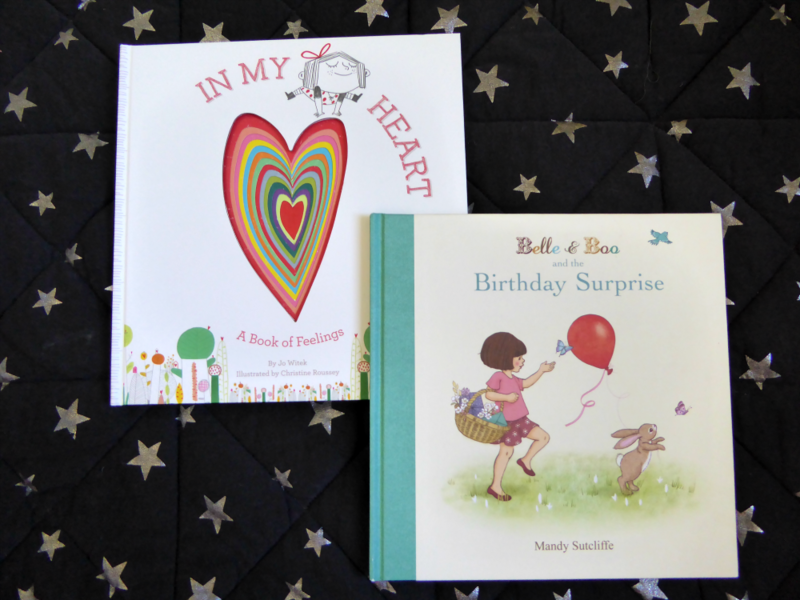 The Belle and Boo stories are sweet, with lovely vintage-style artwork which makes me want to cover MM's room in fairy lights and dress her in frilly, floral nighties. I expected them to set my teeth on edge, but somehow they don't. 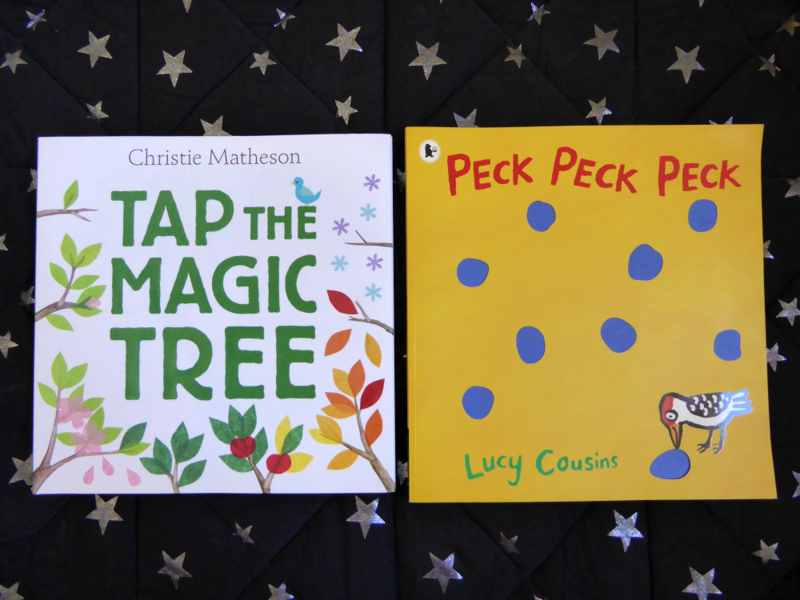 She's also - let's be honest - a fan of both the Topsy and Tim and the Maisy the Mouse books, but it's a little harder for grown up readers to revel in "my first experience" stories!